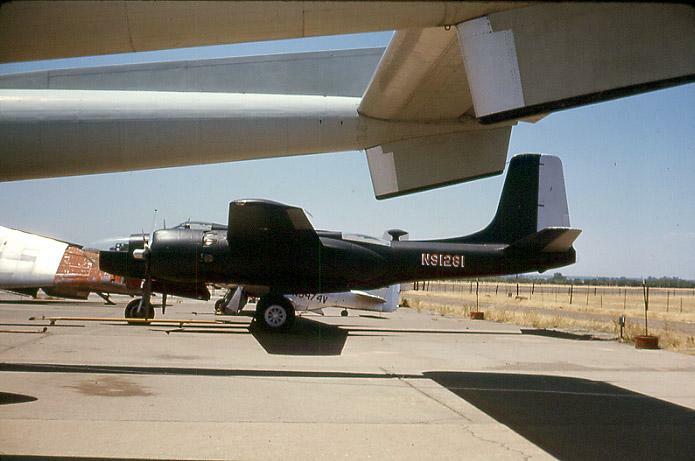 - Stored, Davis Monthan AFB, AZ. 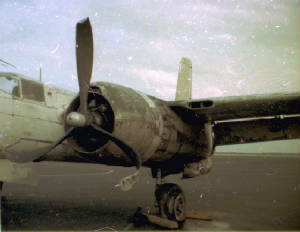 - Put up for dispossal, Nov. 1956. 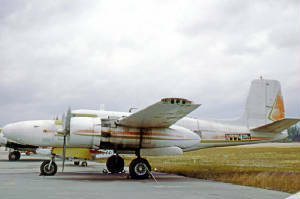 Aero Union Corp, Chico, CA, 1966-1970. 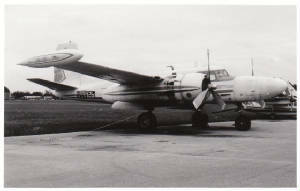 - Flew as tanker #21. 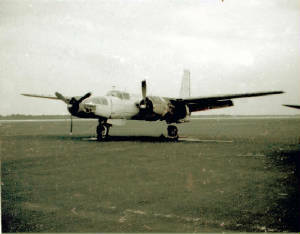 - Registered as C-FBMR, 1979. Jerry C. Janes, Rockford, IL, Jan. 24, 1987. 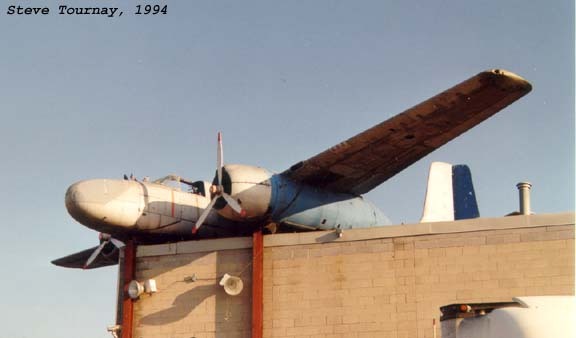 Robert J. Pond/Planes Of Fame East, Minneapolis, MN, Nov. 1987-1998. 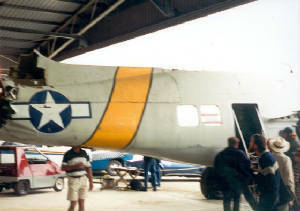 Bob Pond/Pond Warbirds LLC/Palm Springs Air Museum, Palm Springs, CA, 1998-2002. 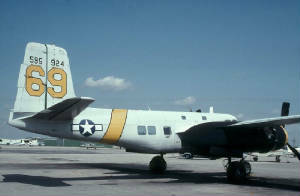 - Flown as 39359/21 "Invader". 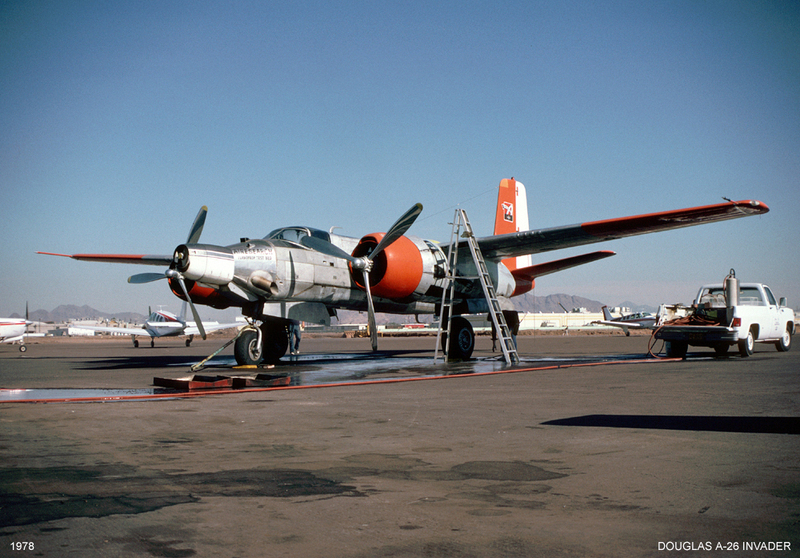 Above is N9163Z at Sky Harbor Airport, Phoenix, AZ, April 1969. 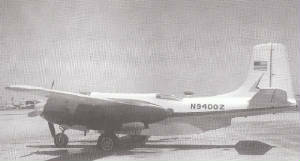 National Flight Services Inc, Toledo, OH, 1963-1964. David Voltz, Phoenix, AZ, 1966. 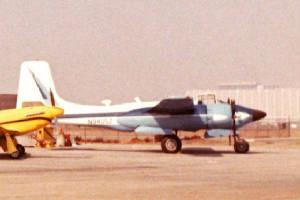 Aircraft Specialties Inc, Mesa, AZ, 1969-1973. 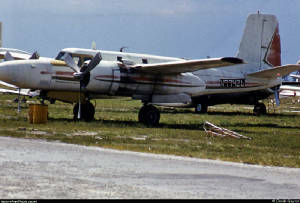 Kenting Aviation, Toronto, Ontario, 1973-1974. Struck of U.S. Civil Register May 30, 1974. Mackie's Moving & Storage Co, Oshawa, Ontario, 1974-1999. - Displayed on warehouse roof. David Grainger/Guild Of Automobile Restorers, Bradford, Ontario, Oct. 1999-2003. - Removed from roof for static restoration. 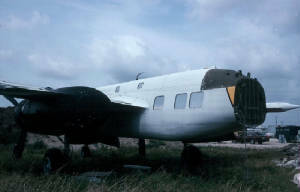 The below seven shots are from the Graham Robson collection, provided by Allied Signal. 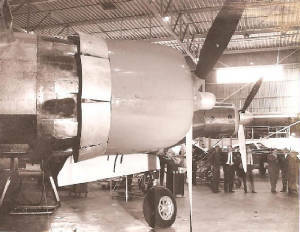 - Modified for turboprop engine in nose position. 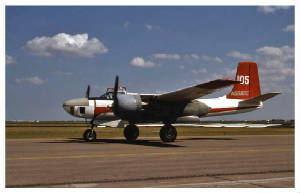 - Flown as tanker #14/"Hasta Luego". Parker Pen Co., Janesville, WI, 1961-1963. Kwiki Systems Inc, Leawood, KS, 1966. On Mark Engineering Corp, Van Nuys, CA, 1969. North American Rockeewell Corp, El Segundo, CA, 197-1977. Sale reported, Miami, FL, 1984. 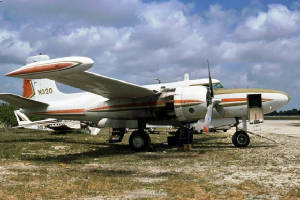 Thought to have crashed or been abandoned during drug smuggling operations. 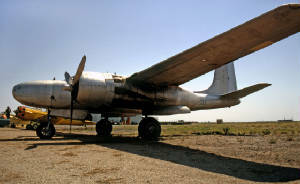 AIRFRAME - LANDING GEAR: MAIN GEAR-SHOCK ABSORBING ASSY,STRUTS,ATTACHMENTS,ETC. REMARKS- RT GEAR TRUNION PIVOT FITTINGS FAILED. 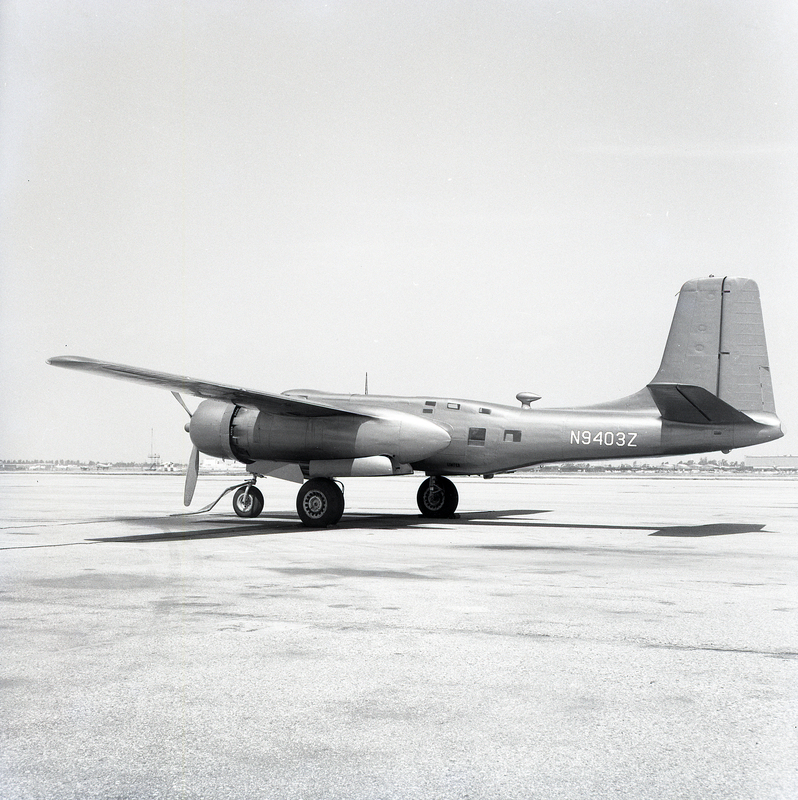 Above, how 35905 started life with the 111th's utility flight. 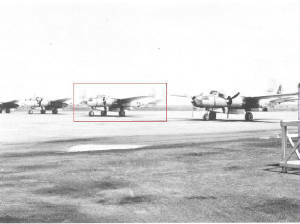 First in line B-26C 44-35608, followed by B-26C 44-35905 and lastly what appears to be B-26B 44-34184. 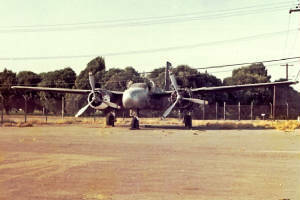 Constructed as an A-26B-40-DL by Douglas at Long Beach, Califoria, USA. 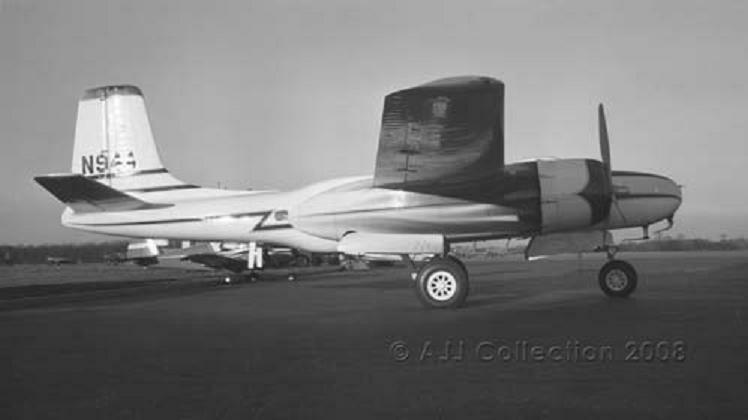 Taken on Strength/Charge with the United States Army Air Force with s/n 41-39553. 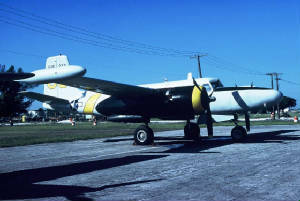 To North American Rockwell with c/r N9405Z. Crashed and destroyed, Los Angeles, CA, May 10, 1969. - Crashed into apartment building after suffering engine failure on port engine. 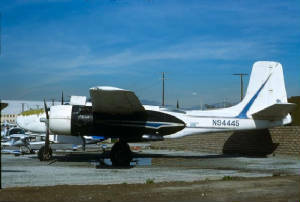 The left engine failed just after takeoff and the plane turned left heading south into a residential area of El Segundo. It flew straight to a park about a mile south of LAX. It was a Saturday morning in 1969 and the park was full of kids and adults. 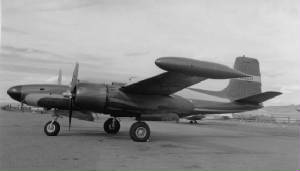 The plane then made a sharp right turn to the west and the Pacific Ocean, but the right engine failed and it dropped like a rock into a 4 unit apartment building. 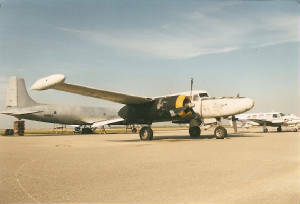 Full of fuel, it burned for a long time. Just a block to the west was the city hall, police dept. and fire station. They was a small community gathering at the time. The pilot, three engineers, and one or two people in the apartment building perished. Manufactured by Douglas Aircraft, Tulsa OK and delivered to the USAAF on 26 Mar 1945. Fred M. Strozer, Beverley Hills, CA, 1963-1964. John Moore, Toluca Lake, CA, 1966. I.N. "Junior" Burchinall, Brookston & Paris, TX, 1969-1977. Milt Stollak, Burbank, CA, Jan. 1978. - Displayed as 44-35224/Sweet Miss Lillian. 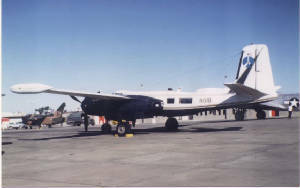 Transport Aircraft Inc, Sacramento, CA. 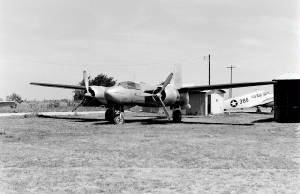 John A Thompson, Santa Clara, CA, Circa 1963. John A Thompson, Santa Clara, CA, Mar. 8, 1971-2003. 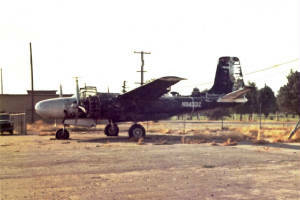 - Retired, derelict, Fresno, CA, 1968-1977. - Removed from Fresno, 1977. 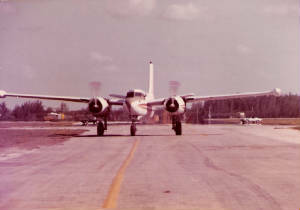 Flight Inc, Dallas TX, 1963-1966. 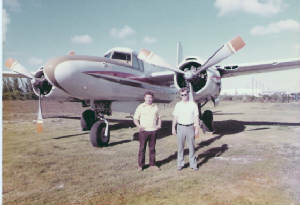 D & D Aero Spraying Inc., Rantoul, KS, 1969-1980. 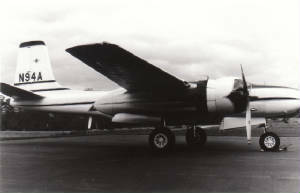 - Flew as Tanker #105. 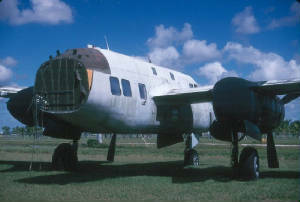 Harley Wilke/Confederate Air Force, Harlingen, TX, 1980-1982. 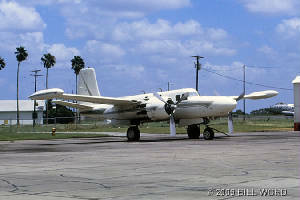 CAF/Commemorative Air Force, Harlingen (later Midland), TX, Aug.21, 1982-2007. 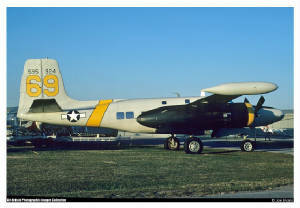 - Flew as 13930/P/Panhandler's Pride. - Long term restoration, North Vegas, NV, 1988-1996. 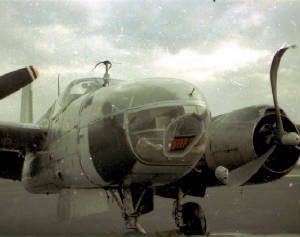 - Fitted with A-26C nose. - First Flight, June 10, 1996. 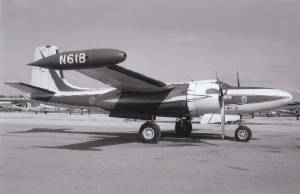 - Flew as 139230/N/Vegas Vixen. - Renamed Lady Liberty, 2003. 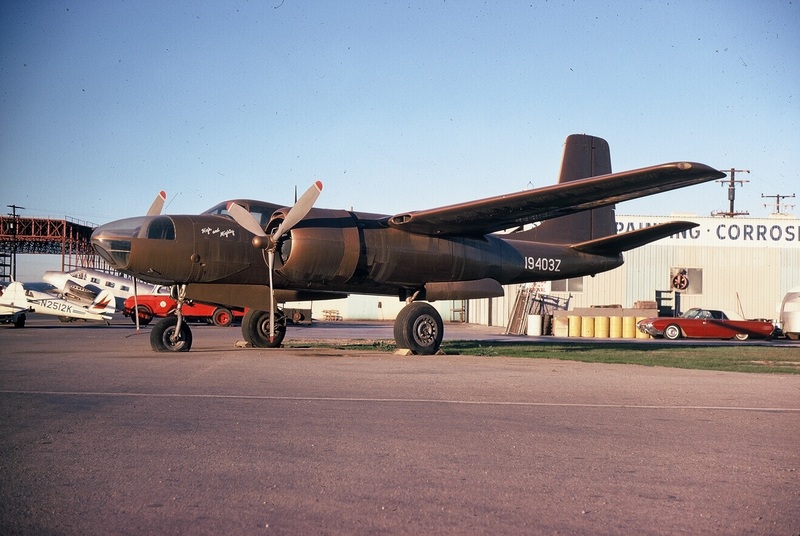 It looks like these shots were taken at Jackson Hole airport in Wyoming. The shots show mountain peaks on a range of mountains called "The Grand Tetons", a preserve in northwestern Wyoming, just south of Yellowstone National Park, named for the highest of its peaks. Jackson Hole is near there. Because the paint looks so fresh and glossy, it would say that the photos were taken between 1963 and 1966 when the records show the Maytag Corporation transferred ownership. 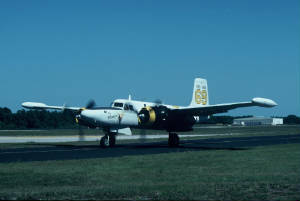 Above shot - N320 disappeared off the map in the 70s before re-emerging in Florida in 1981. 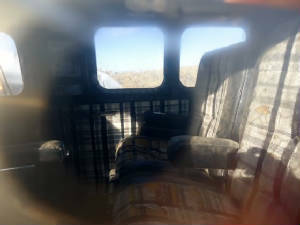 Possibly having been used by drug runners. It then wound up with Rik Luytjes in 1984, and he was a drug runner! Then later to his buddy Keen Edenfield who also ended up in jail for trafficking. After a couple of other owners it ended up with the Wayne County Sheriffs Dept. in Detroit. 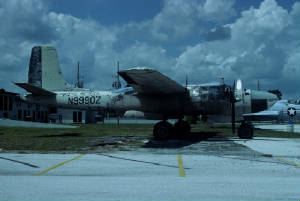 The shots above are also by Gerry Asher and shows N99426 after her restoration at Opa Locka FL. 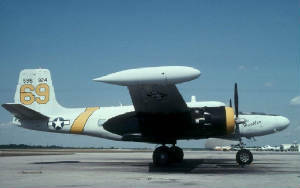 The five shots above show Marksman #4 - N99426 ( Fmr. 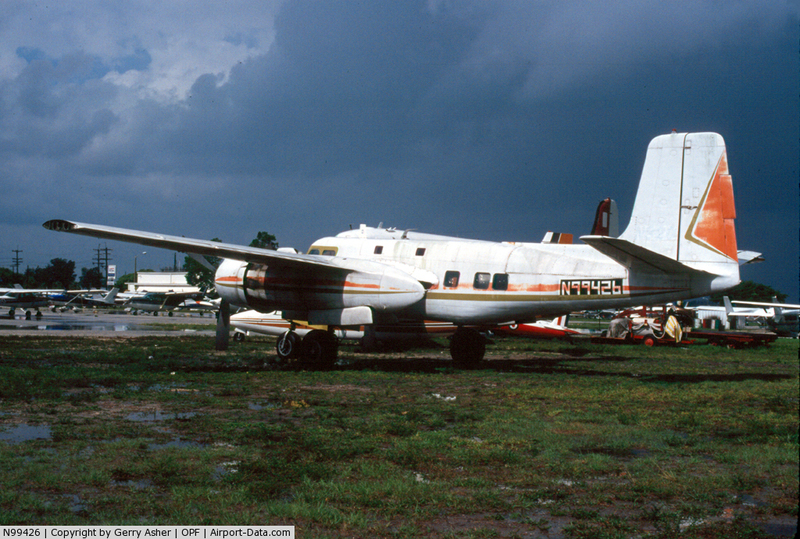 N320 ) at Tamiami, FL prior to Hurricane Andrew - Aug. 24, 1992. Graham Robson photo, used with permission. 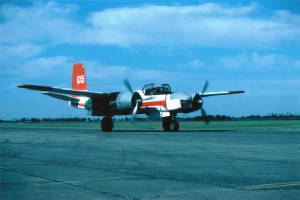 The above two shots were taken by John Parker and show "99426" after American Pat Murphy, who was living in Australia, had the Invader shipped to Caboolture Australia, where he intended to restore the. 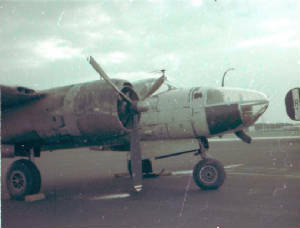 The hurrican damage can clearly be seen. 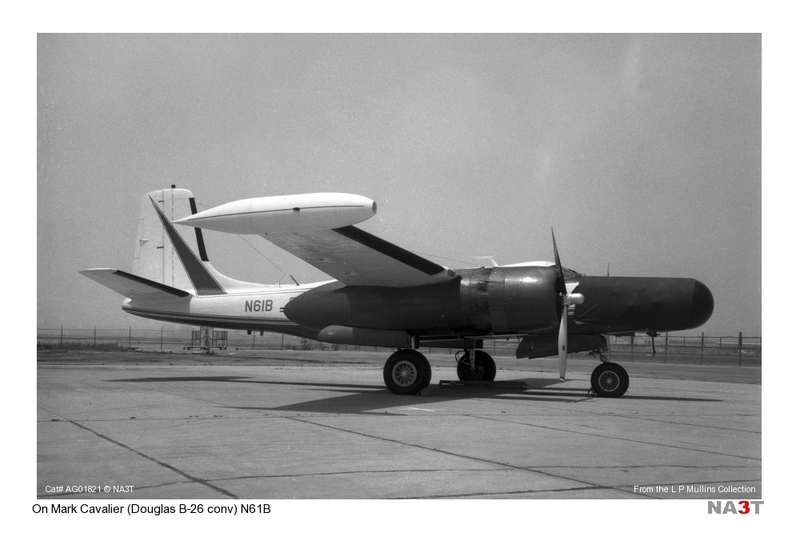 The five shots above show Marksman #4 - N99426 ( Fmr. 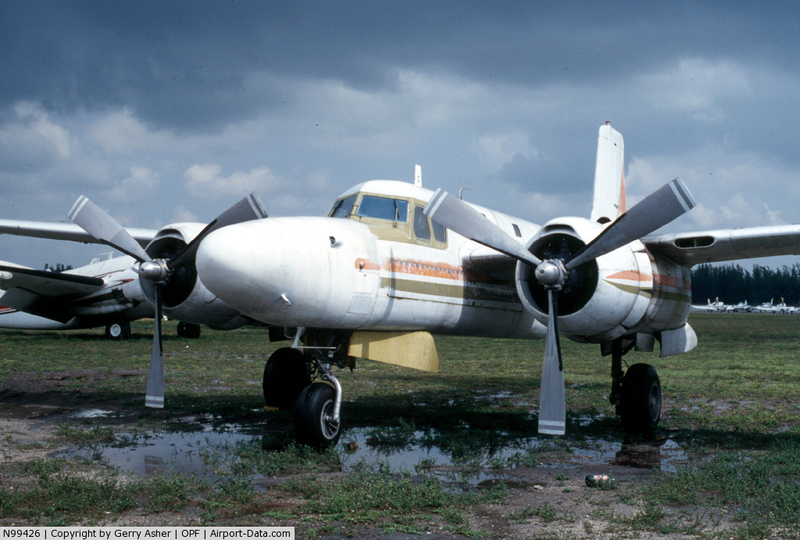 N320 ) at Tamiami, FL after Hurricane Andrew - Aug. 24, 1992. 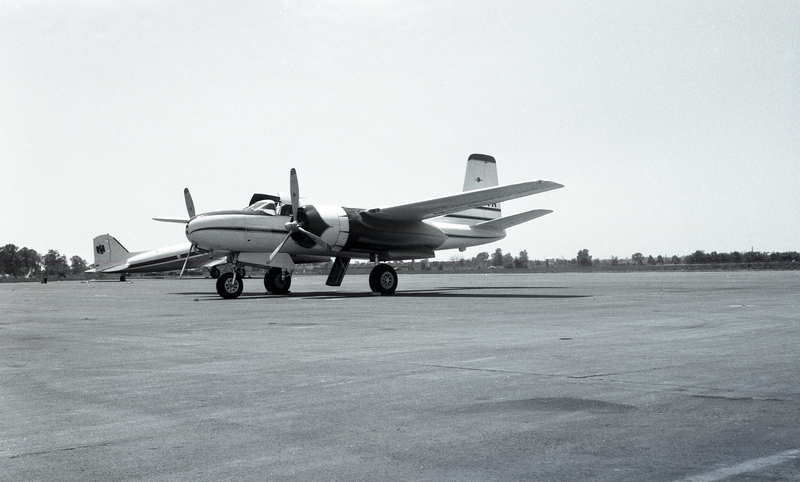 December 2000 marked the return of an aircraft that had been created at Van Nuys Airport nearly four decades ago. 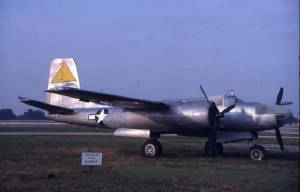 The aircraft is On Mark Marksman N99426 (USAAF s/n 44-- 35870, c/n 29149) which had been acquired by On Mark in the late 1950s as a possible airframe for conversion into one of their executive Invaders. 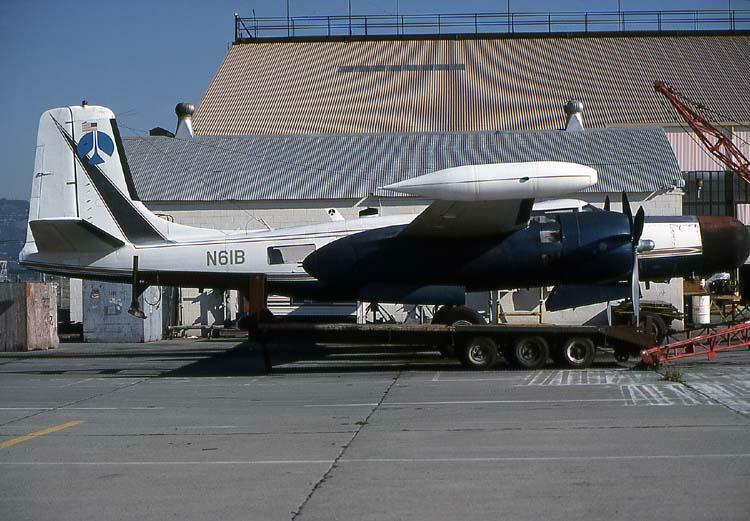 Purchased through a USAF sale, the 13-- 26C was flown to Van Nuys and parked behind On Mark's hangar to await a possible customer. 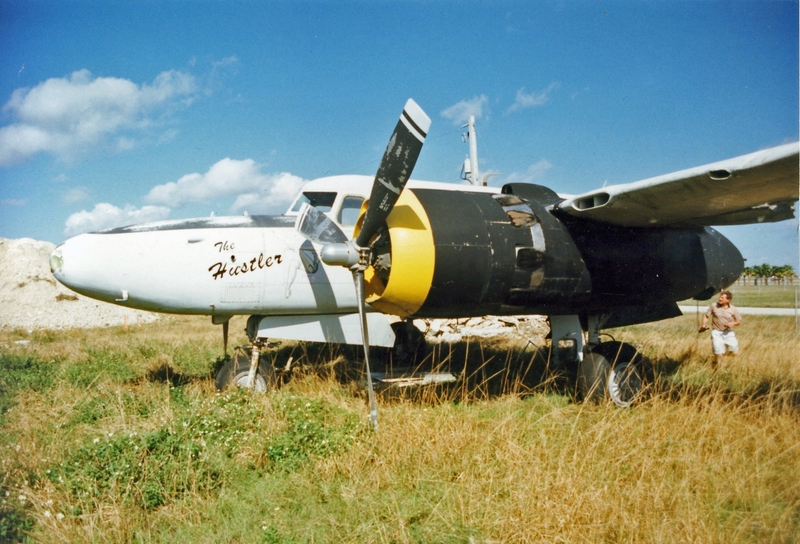 The Learjets of their day, the highly-modified On Marks were in demand and before long '870 was picked out for conversion. The new purchaser was L.B. 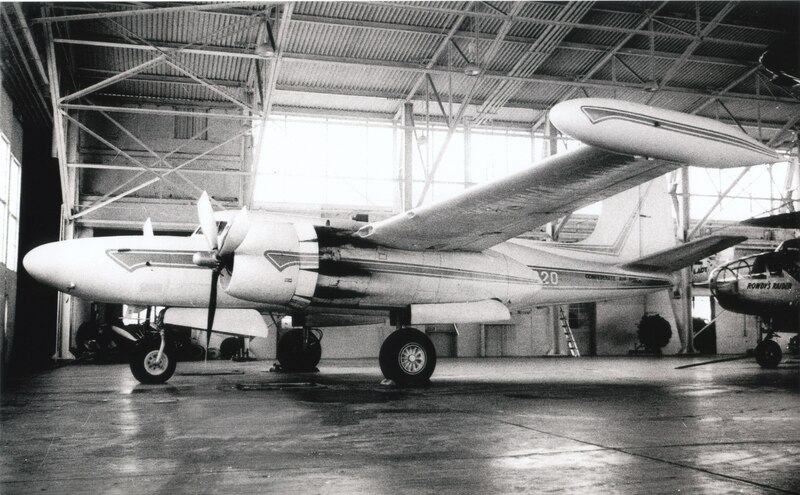 Maytag and the registration N320 was assigned to the aircraft (there probably was a ferry registration applied at the time of the surplus sale but we have not been able to find it). 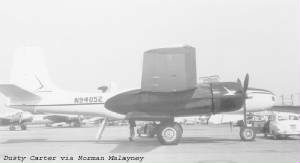 Maytag opted for the full Marksman conversion which meant that virtually a new fuselage was constructed since the aircraft was pressurized. 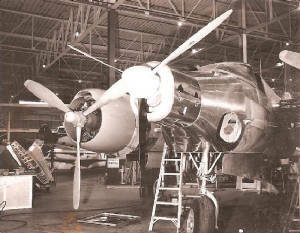 Fuselage height was extended while a DC-6 canopy was installed along with a ring spar, advanced CB engines along with reversible paddle-blade propellers, and many other modifications and additions including wing tip fuel tanks. 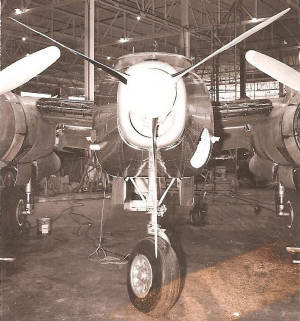 The resulting high-speed aircraft was a beauty and it was based at Van Nuys across the runway from On Mark where it was parked with Maytag's P-51D Mustang N332. 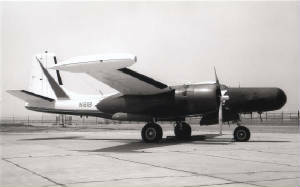 Completed in 1963, the aircraft did not remain in Maytag's ownership for overly long. In 1966 it went to the National Bank of Tulsa, Oklahoma, where it remained registered for three years before passing to Trinity Industries in 1969. 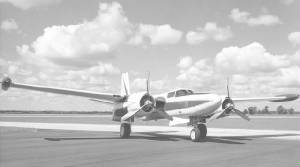 According to records, the plane was then transferred to the Confederate Air Force at Harlingen, Texas, in 1970 but by the mid-1970s the aircraft was reported as being struck off the Civil Register and sold to Latin America. 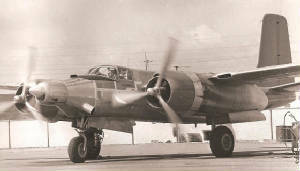 During this time period, several modified Invaders passed through the CAR We would appreciate more details of the aircraft's Latin American operations. 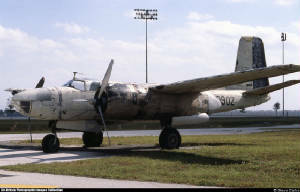 By 1981, the Marksman was at Opa Locka, Florida, with the new registration N99426. From that point, it went through at least four different owners. 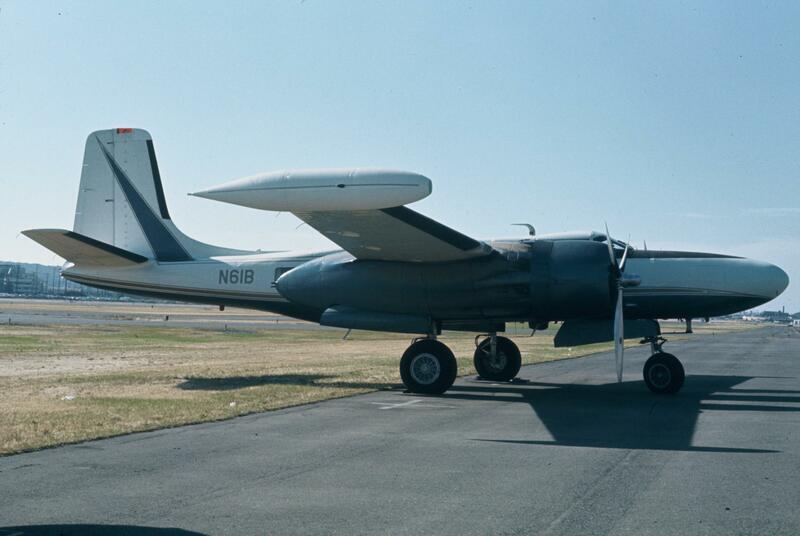 It must be remembered that during the 1970s and early 1980s, the On Mark Invaders were coveted by drug runners because of their high speed, long range, and low acquisition cost. The Learjet quickly made its impact on the business world and the On Marks only enjoyed a few years of dominance before being overtaken by the jets. 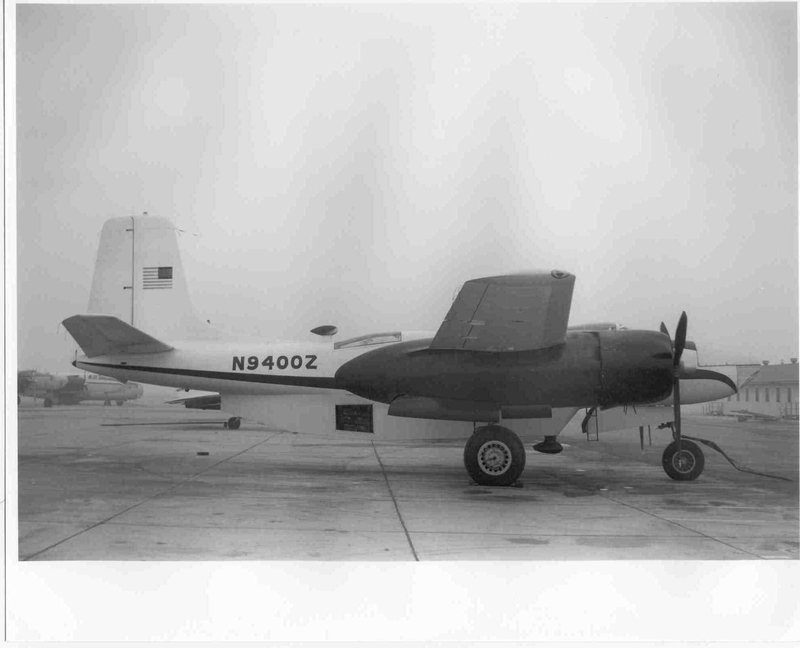 By 1988, the aircraft was with the Wayne County Sheriff Department but we have not been able to discover why. 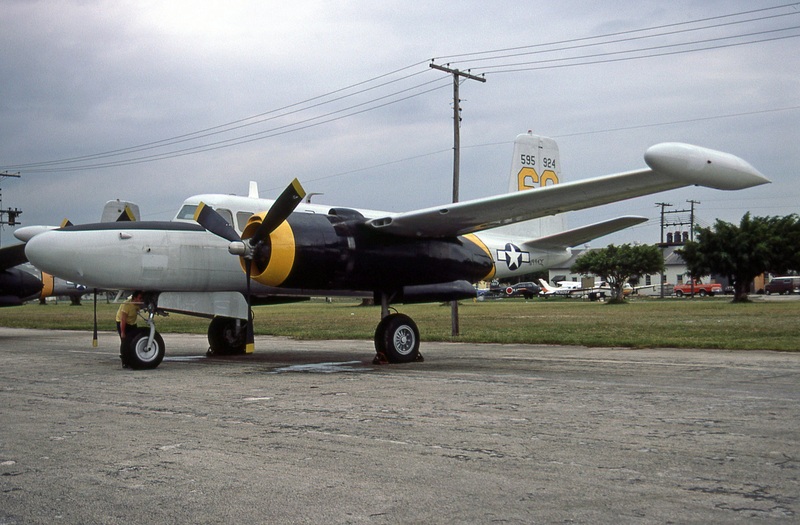 During the early 1990s, the Invader was sold to an individual in Florida. 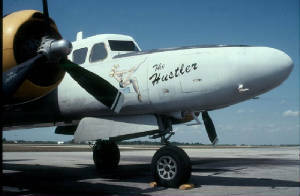 During the 1980s, the aircraft had acquired a totally inappropriate USAF paint scheme along with the name The Hustler and some garish nose art. 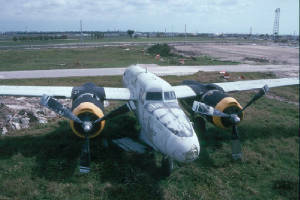 Parked at Tamiami, Florida, the Invader was being offered for sale when it had the misfortune to encounter Hurricane Andrew on 24 August 1992. 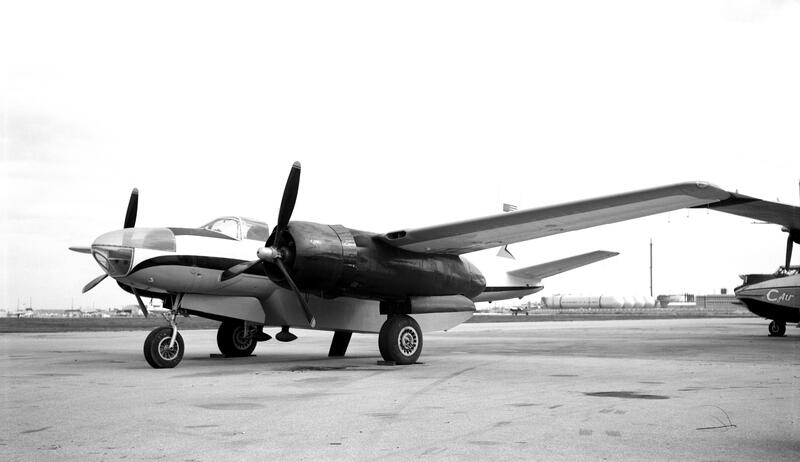 Along with devastating the entire area and Kermit Weeks's collection of aircraft, the Invader literally had its entire tail "twisted off," much like it had been a model airplane. 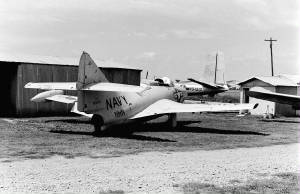 With the tail ripped off, the aircraft was basically destroyed. 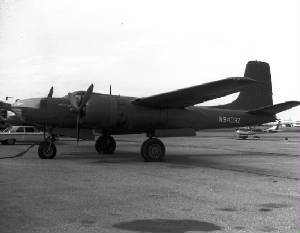 However, the ruined aircraft was purchased by American Pat Murphy who was living in Australia. 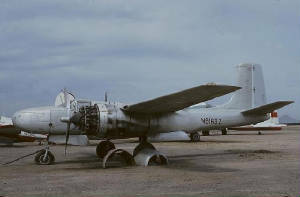 Murphy had the Invader shipped to Australia where he intended to restore the plane. The ambitious plans never came to fruition and the hulk was eventually offered for sale. 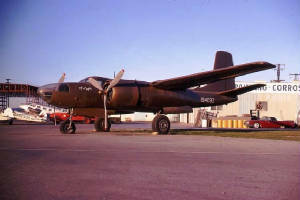 The craft was purchased by Howard Keck and Matt Jackson traveled to Australia to supervise the disassembly and crating of the Invader for shipment back to the States. 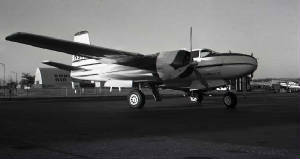 The crates arrived during December and were unloaded at Keck's large hangar which houses his beautifully restored On Mark. 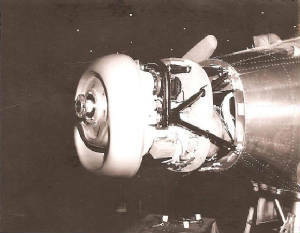 Keck intends to utilize components from the plane's QECs to convert his On Mark to CB power. 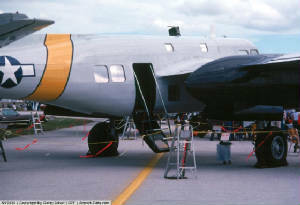 "It's a shame," commented Matt Jackson, "but the plane was riddled with corrosion from its years in the open. 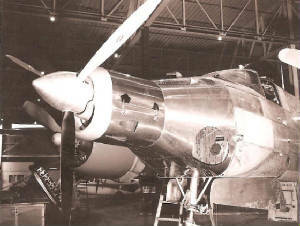 Also, the spar had received major damage." 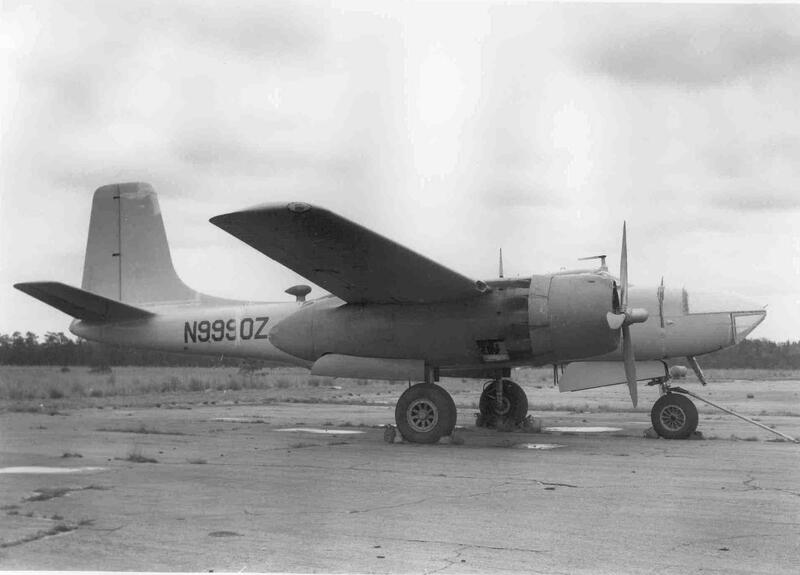 It took Matt only four days to disassemble and crate the plane. 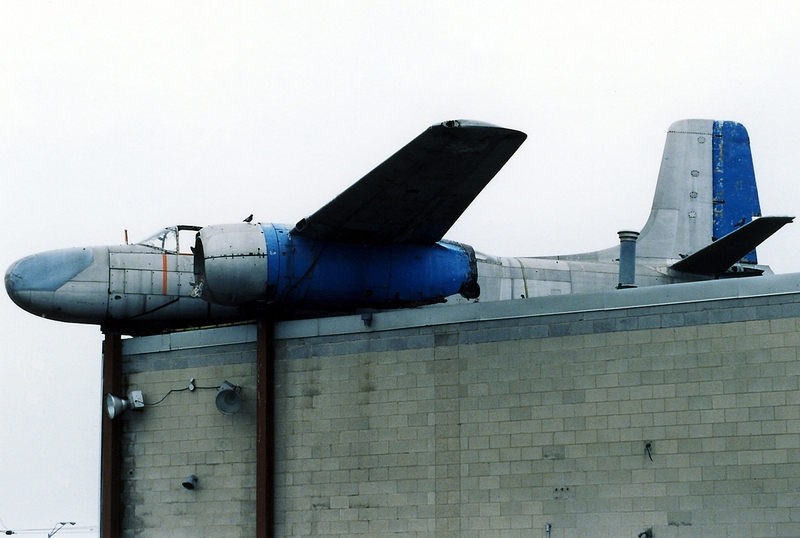 The Invader now sits just about 100 feet away from where it was originally parked during the early 1960s. 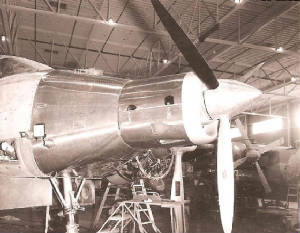 Once required parts are removed, Keck intends to store the airframe at his facility in Thermal, California. 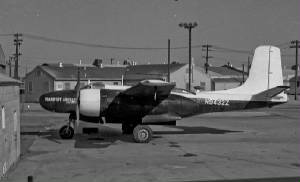 Pete Regina Aviation at Van Nuys will build up the QECs. Above, heard a Pretty reliable rumour, that this Marksman, now owned by Howard Keck, is being fully restored to possibly race at Reno, so I asked Richard E. Fulwiler if he could knock me up something to resemble what she might look like, so he sent me a taster of his initial draft. She will have a couple of HUGE lumps ( Wright's) to drive her round the course...Watch out Rare Bear. 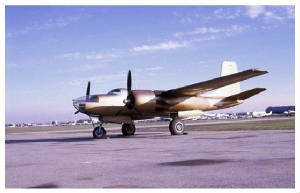 Howard Keck (A-26 Company Inc) now owns ex EAA A-26 44-35788, formerly NL8058E, which is now NL126HK. 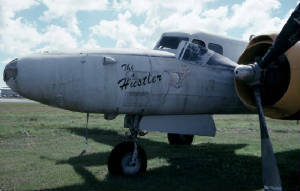 Howard also owns the beautiful, highly polished bare metal executive conversion A-26 N26BK 44-34766 which he flies and also owns the derelict A-26 N99426 44-35780 which flew in Florida as "The Hustler" before it went to Australia for awhile. 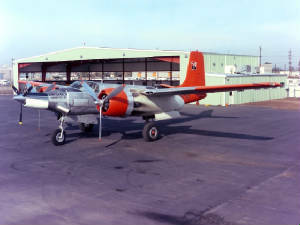 - Rebuilt as On Mark Marksman C, Van Nuys, 1963. National Bank, Tulsa, OK, 1966-1969. - Reported sold to South America. 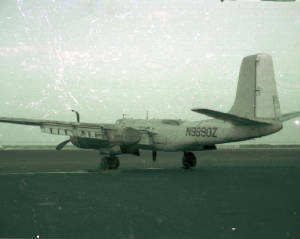 Noted in ferry markings N99426, Opa Locka, FL, July 1981. 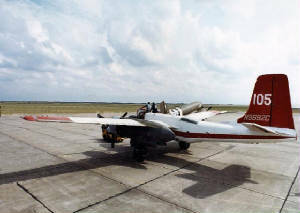 T. K. Edenfield, Albuquerque, NM, May 1985. C. H. Midkiff, San Antonio, TX, Sep. 1986. 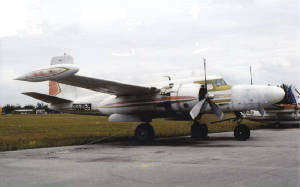 Reported sold in Brooksville, FL, 1992-1995. - Damaged by Hurricane Andrew, Tamiami, FL, Aug. 24, 1992. - Open Storage, still damaged, Tamiami, FL, 1992-1995. Patrick M. Murphy, Brisbane, Queensland, Australia, 1998-2000. 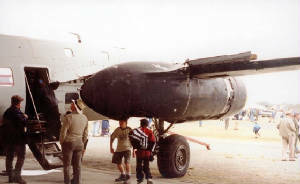 - Shipped to Brisbane, 1998. 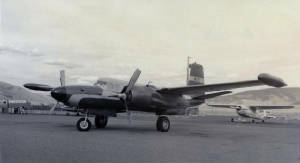 - Assembled at Caboolture, Queensland, Apr. 1999. 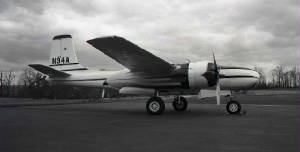 - Planned restoration to airworthy. Matt Jackson & Howard Keck, Thermal, CA, 2000-2002. - Arrived dismantled, Van Nuys, Dec. 2000. - Still in container, Van Nuys, 2002. Taywin Investment Co, Lakewood, CO, 1964. Kimberley Leasing Corp, St. Paul, MN, 1966-1969. Carlton B. Baker, Simsbury, CT, 1972. - Open storage, Springfield, VT, 1968-1974. 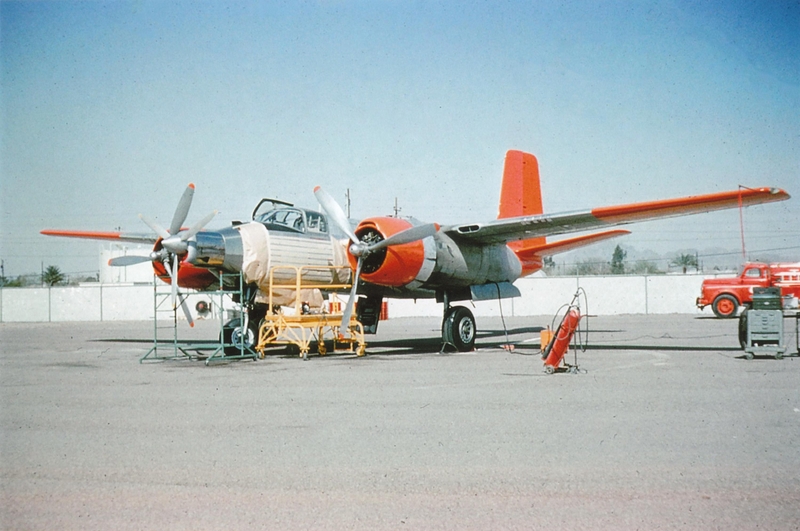 Military Aircraft Restoration Corp, Chino, CA, 1974-2002. 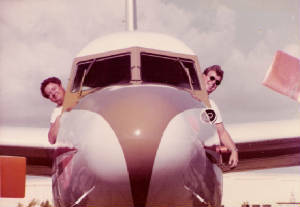 - Undercarraige collapsed, Orlando, FL, during delivery to MARC, 1975. 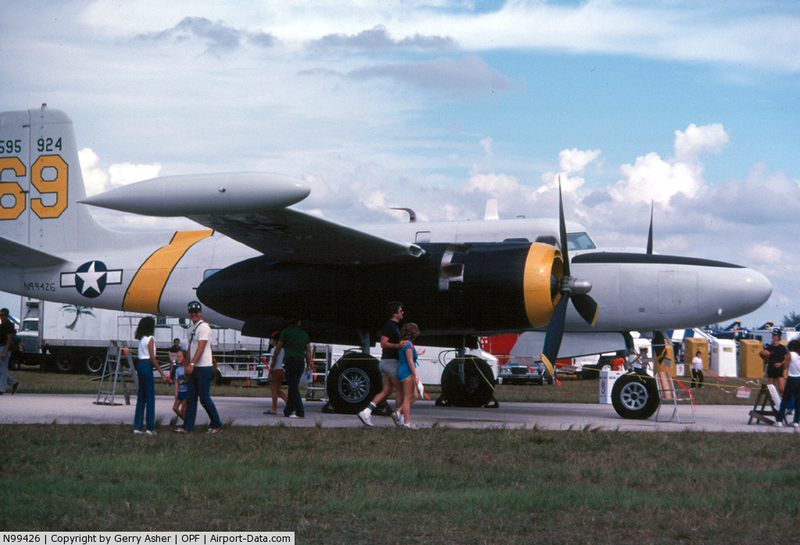 - Displayed at Wings & Wheels Museum, Orlando, FL, 1975-1981. 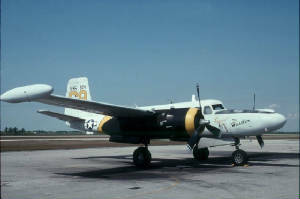 - Loaned to 94 Aero Squadron Restaurant, West Palm Beach, FL, 1984-1995.